LION OF JUDAH ENDOWMENT FUNDS your commitment of $5,000 or more to the Jewish Federation of Greater Pittsburgh’s Annual Campaign, ensuring that your legacy in helping meet our community needs will go on forever. You create a Lion of Judah Endowment (LOJE) by establishing a fund of $100,000 or more to perpetuate your legacy. LOJE Funds of $200,000 or more are recognized by the National Star of David Giving Society. You leave money to the Jewish Community Foundation in your will or trust. 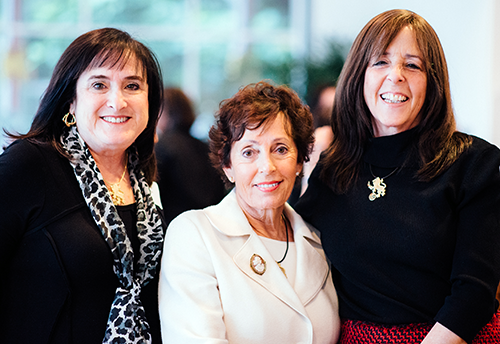 You give appreciated assets or cash to the Jewish Community Foundation during your lifetime. You designate the Jewish Community Foundation as the owner and beneficiary, making your premium payments tax-deductible. For qualifying policies, the Foundation will pay one-half of the premiums. You may use annual grants from these funds to create a LOJE. You may also dedicate the remainder of these funds after your death to create an endowment. You designate the Jewish Community Foundation as the beneficiary of your IRA or pension benefit. Funding a LOJE with an Individual Retirement Account (IRA) or pension plan rather than through a bequest will save your heirs income tax on the amount used to fund your LOJE. The Jewish Community Foundation’s experts can help you to make this transfer as part of a total estate plan. This option offers the benefit of life income payments with a tax deduction. The remainder of a LifeIncome Plan or charitable gift annuity may be dedicated to a LOJE. If you make the gift during your lifetime, you receive a charitable income tax deduction. If a gift is made upon your death through your estate plan, your estate may receive a charitable estate tax deduction. Your named endowment fund will be managed by the Jewish Community Foundation ensuring that critical support for the Jewish community continues for the future.